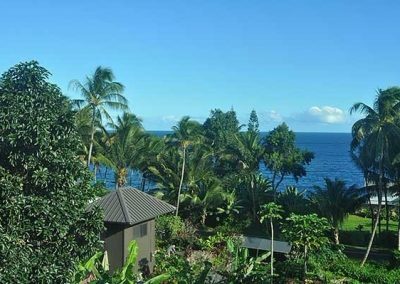 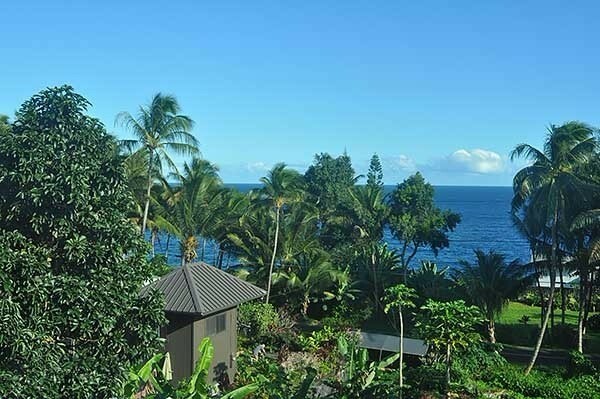 Enjoy stunning OCEAN VIEWS from this truly beautiful, artistically designed home located in the much desired coastal community of Kehena Beach. 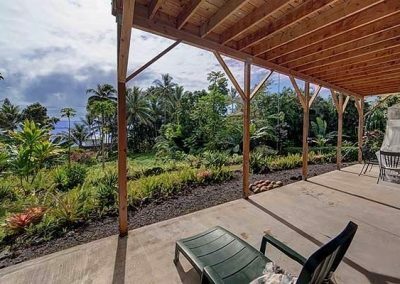 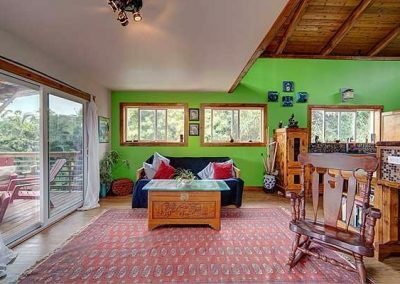 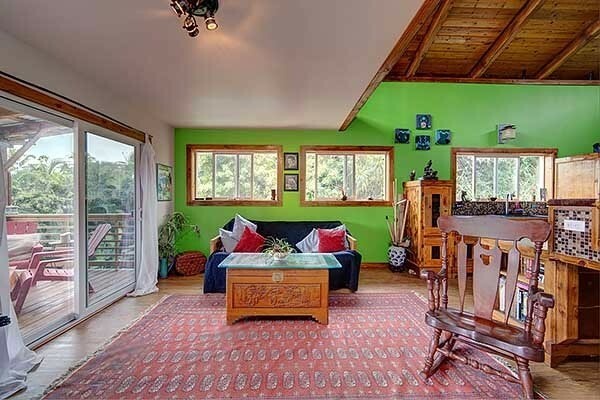 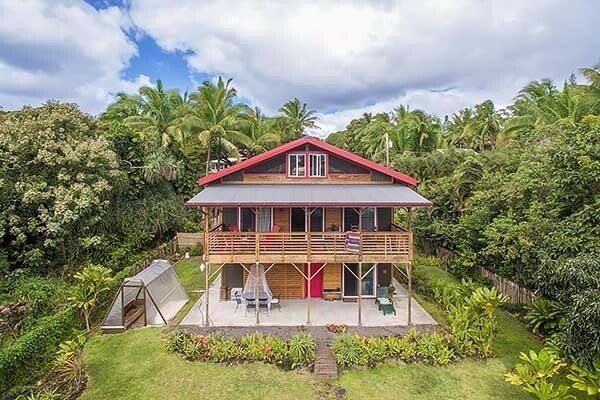 This home, nestled into a tropical property landscaped with exotic plants, is just a short walk away from Kehena Beach with its year-round ocean access. 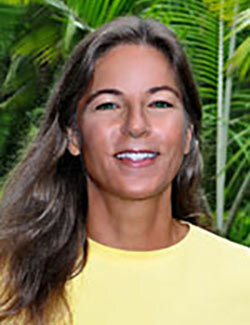 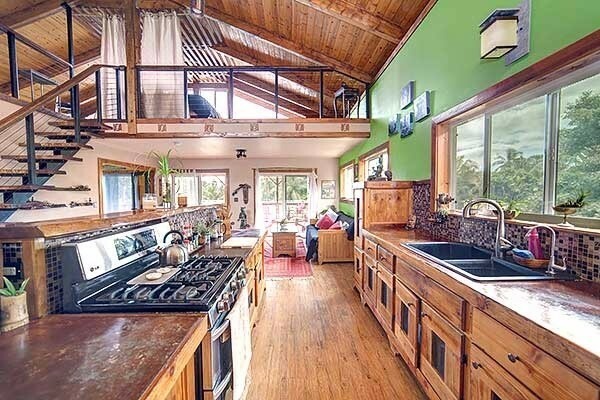 The home was built in true Hawaiian style to take advantage of the trade winds East Hawaii is famous for. 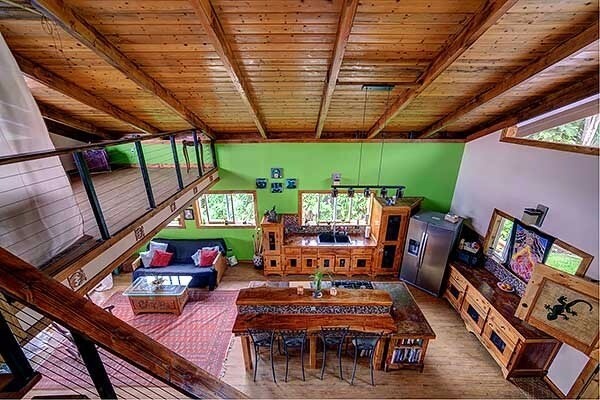 The second floor is the main living area. 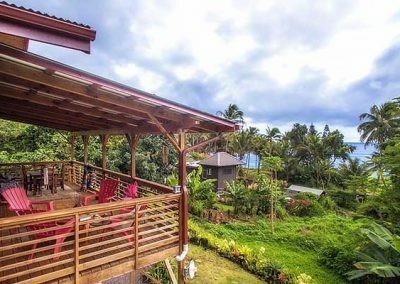 Here, as you enter the home through the custom double front doors you come to the comfortable living area with its large windows facing east to catch the amazing ocean view, sunrises and breezes. 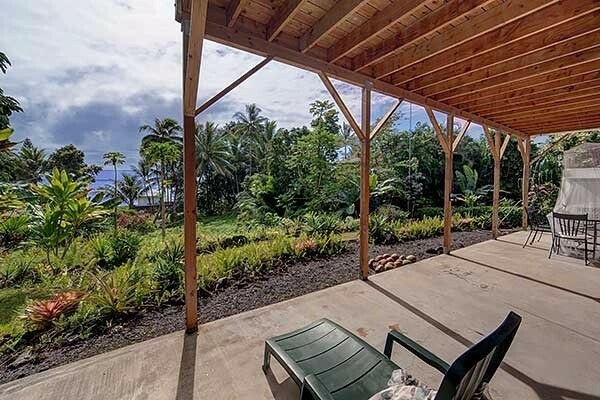 Just beyond the glass back doors is the lanai where you can relax and listed to the sounds of the ocean. 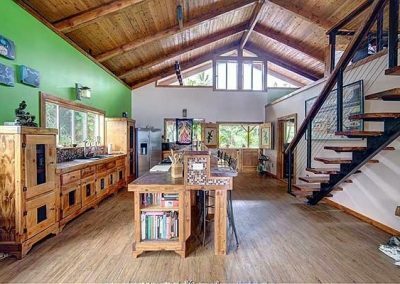 The open kitchen has custom made cabinets, a tropical hardwood bar, stainless steel appliances, gas stove, lots of counter space and plenty of storage. 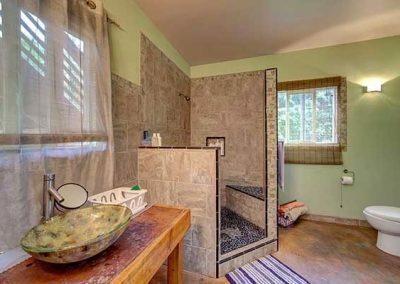 The bathroom is truly a work of art. 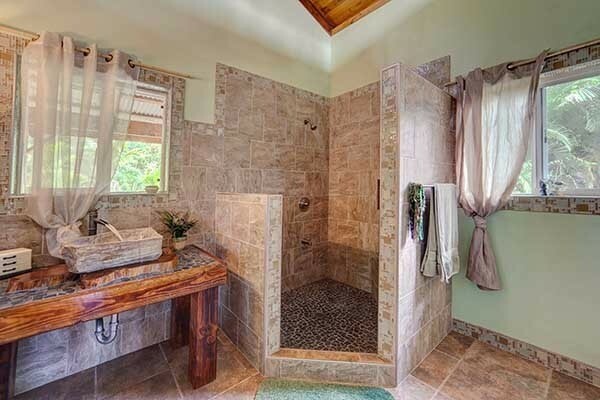 There is custom tile work in the shower and the petrified wood sink with its exotic wood base is just gorgeous. 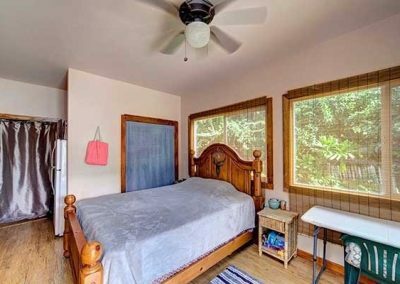 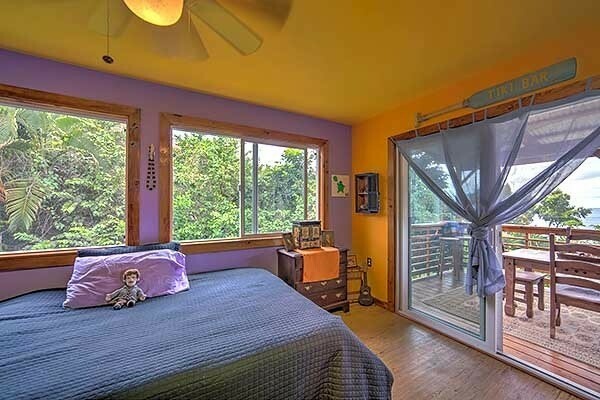 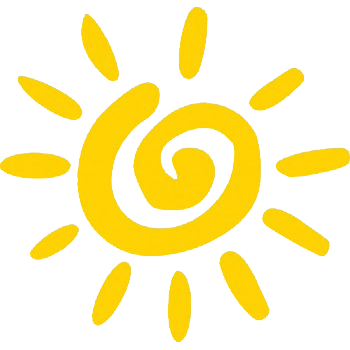 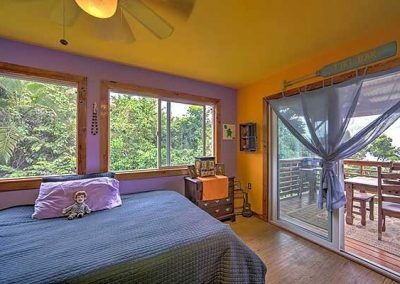 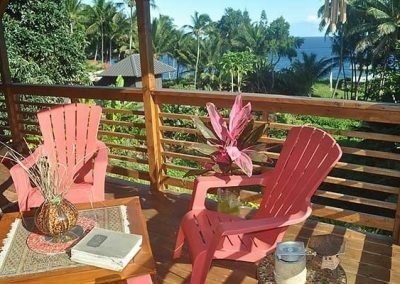 The main bedroom is nicely sized and has a great ocean view and access to the lanai. 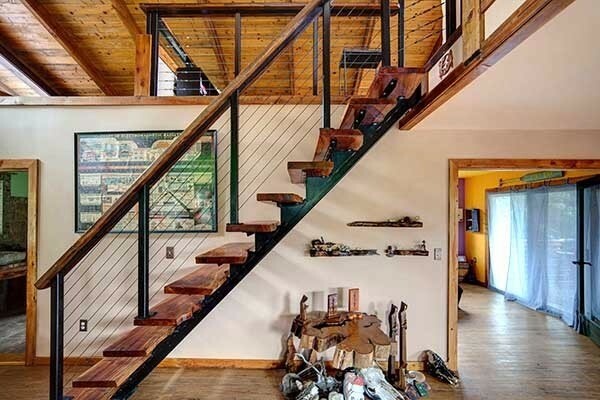 A set of impressive wooden and steel stairs lead to a “storage” area currently being used as a loft bedroom. 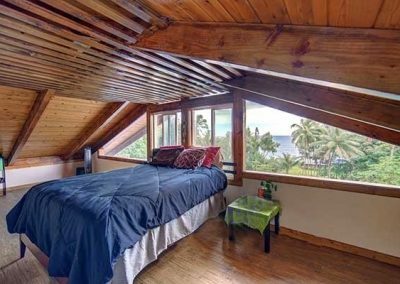 Here again you have amazing ocean views. 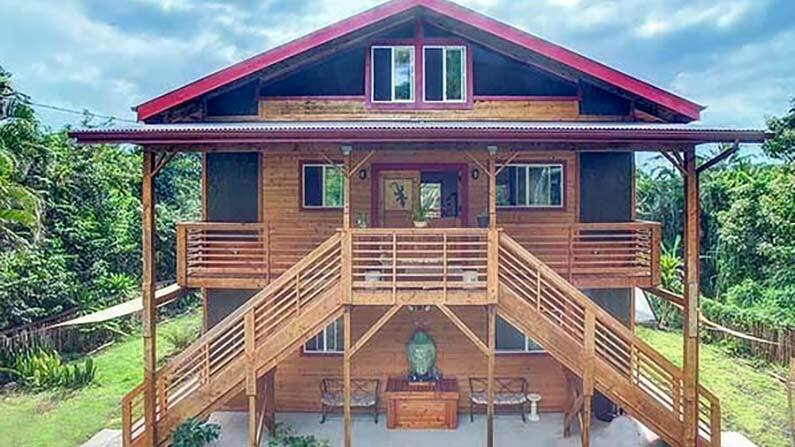 Below the main home is a 450 sqft suite. 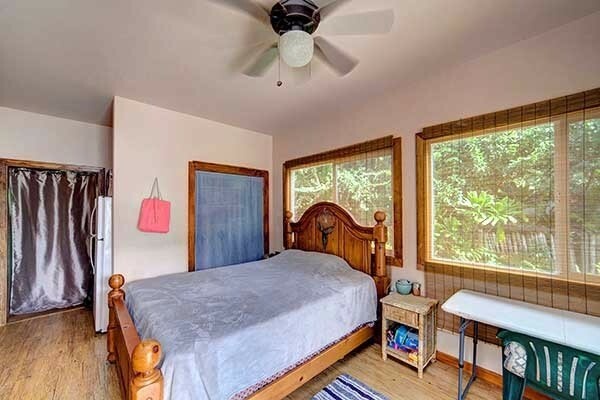 With its separate entrance this makes a great guest room or vacation rental. This suite has a large main area, full custom bathroom and private lanai with views. 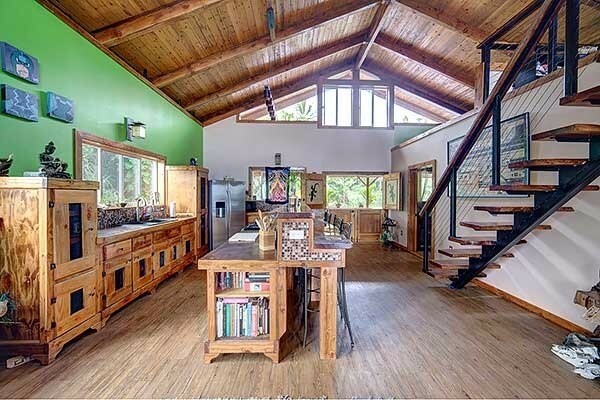 The lower floor also has a large storage/laundry room where the solar water heater and filtration system are located. 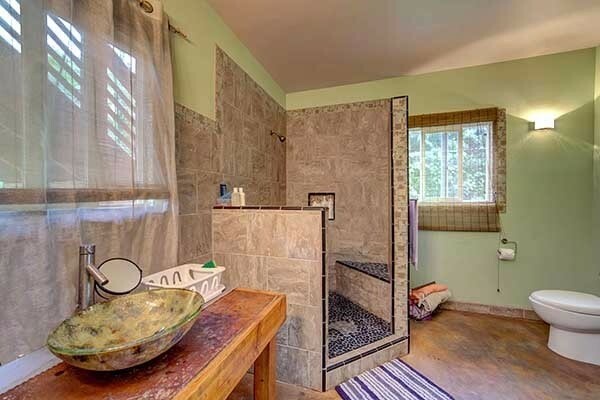 Also, the catchment is located in a room under the home keeping it out of site. 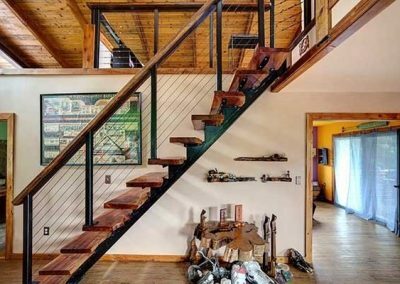 This home was designed and built by the seller and Andrew Coyne. 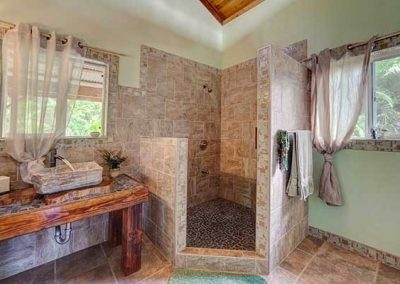 With their former art background and attention to detail they created one of the most unique, comfortable and peaceful feeling homes in the area. 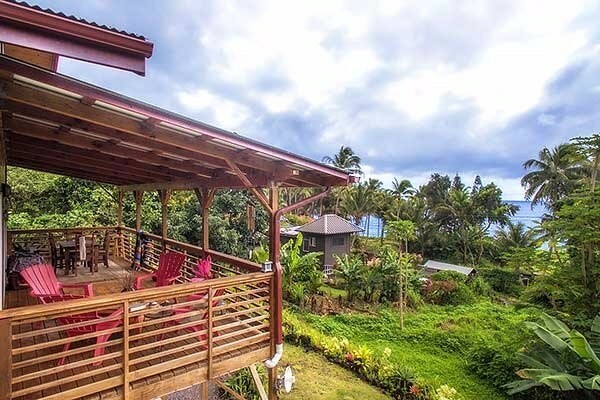 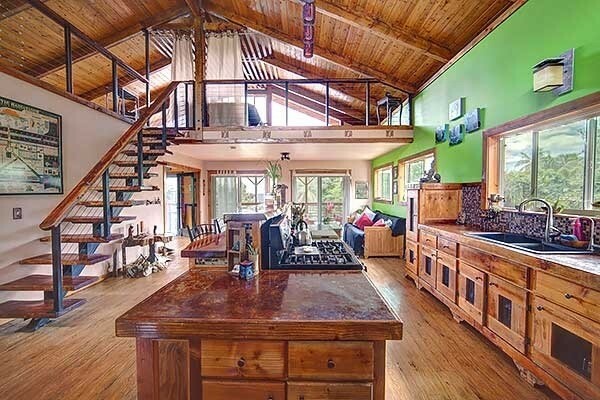 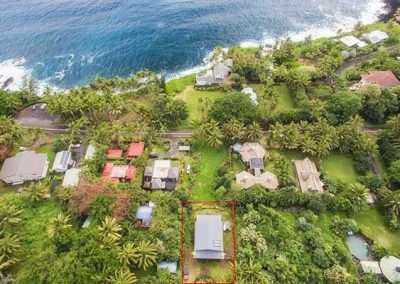 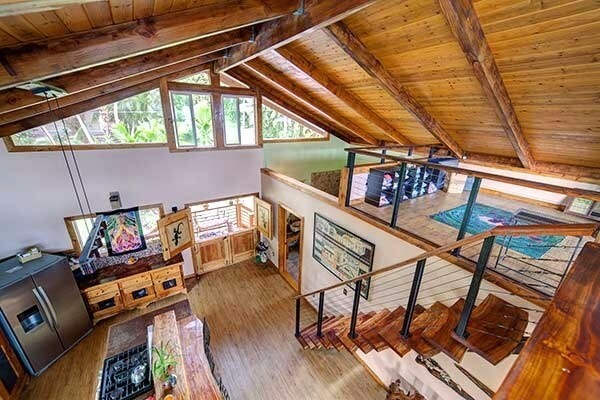 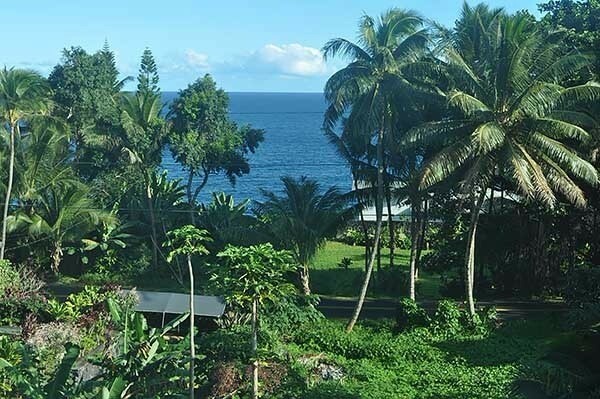 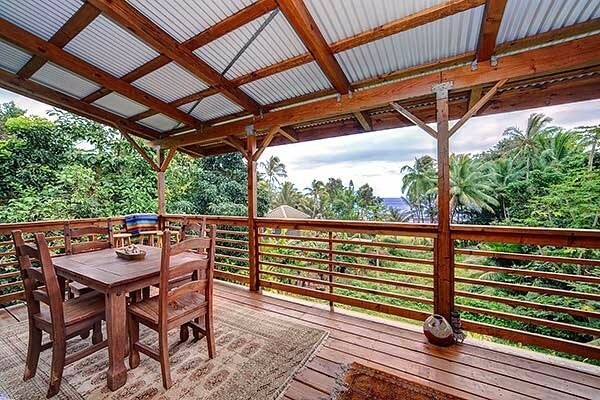 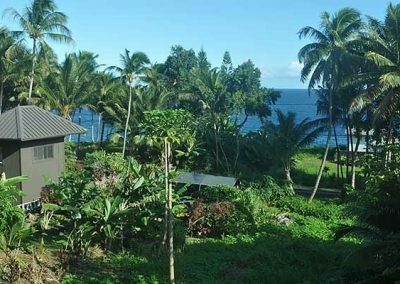 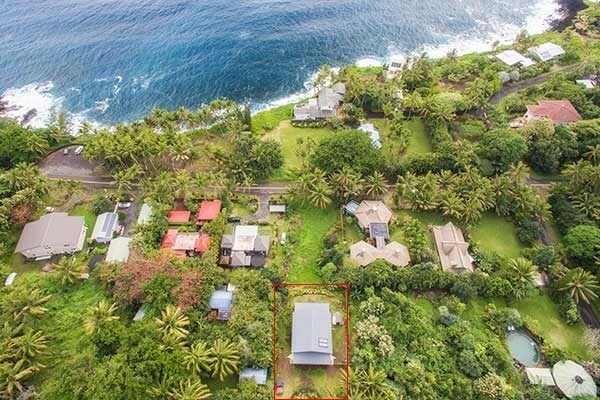 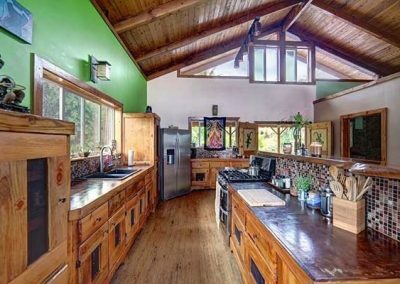 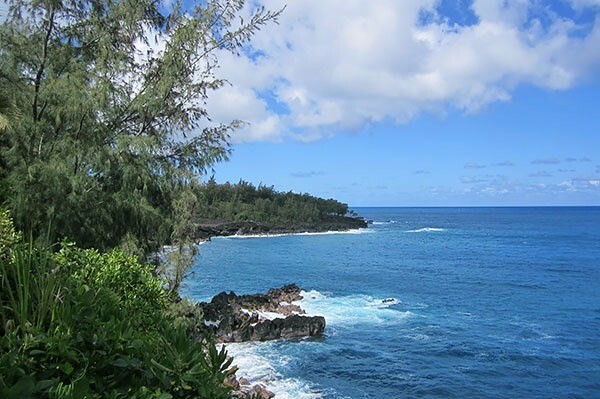 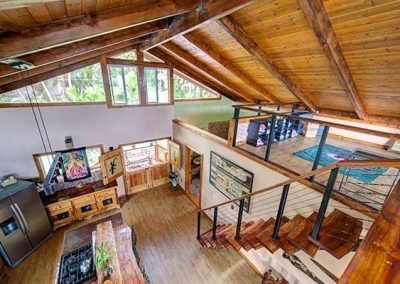 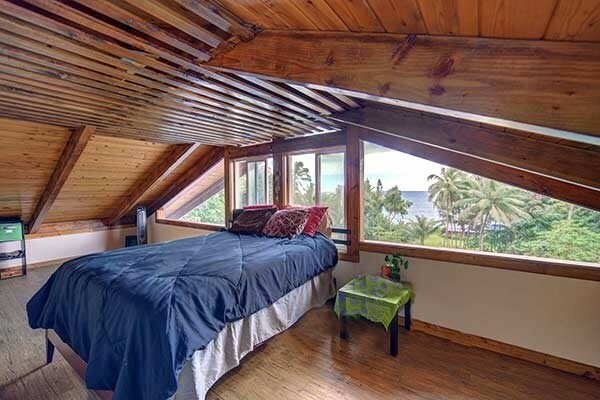 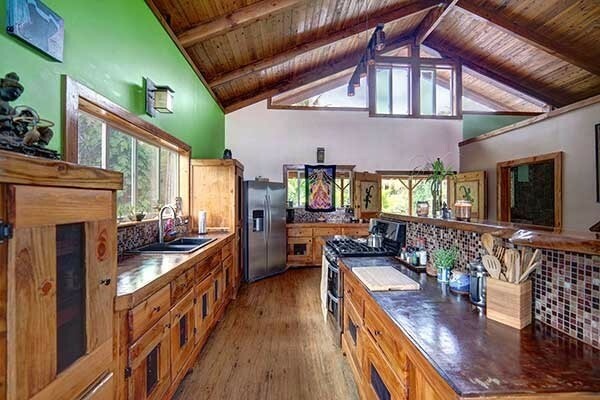 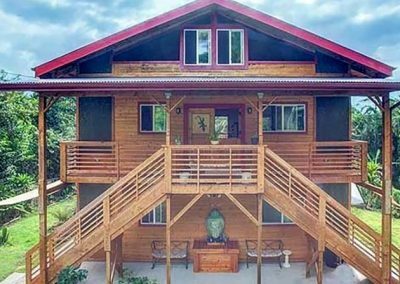 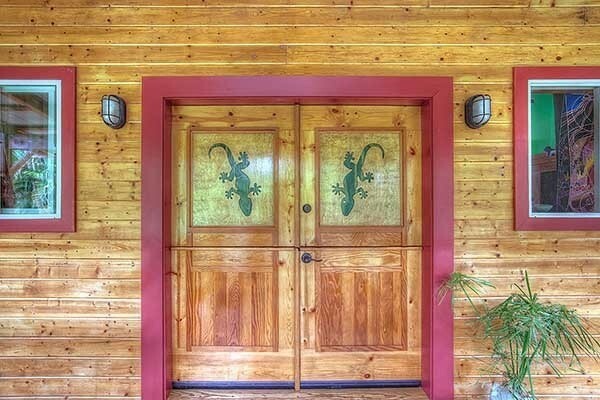 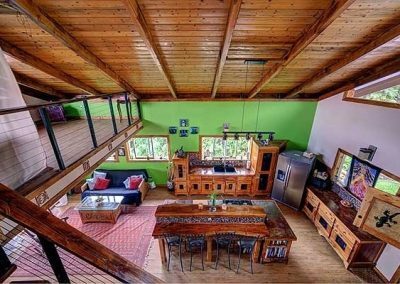 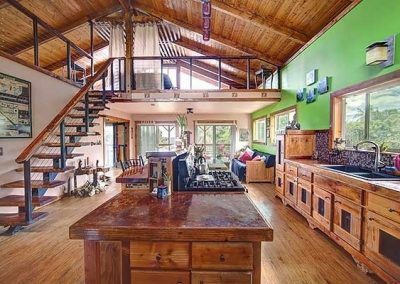 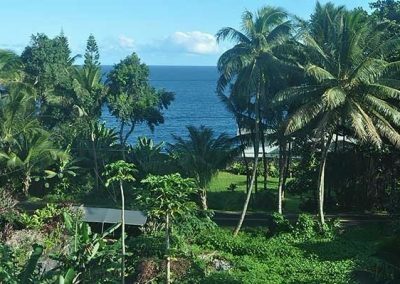 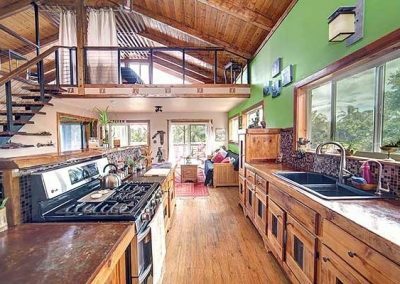 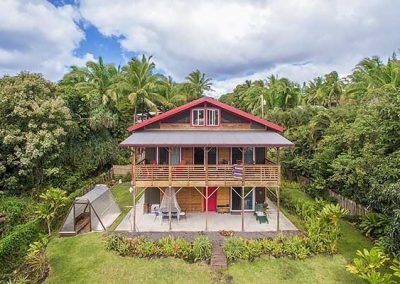 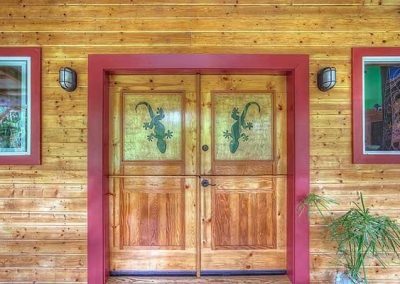 This home located on the magnificent East Hawaii Island coast is one you won’t want to miss!